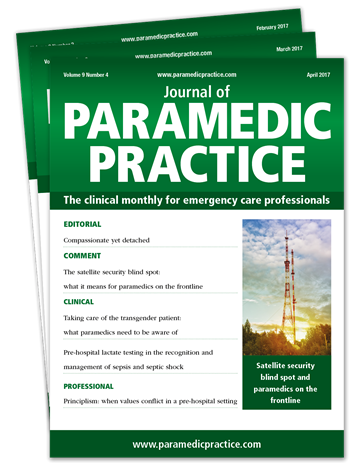 Journal of Paramedic Practice (JPP) is the only monthly peer-reviewed journal dedicated to professional development and best practice in emergency care. It provides paramedics with evidence-based, clinical and practical information, so that they can enhance their knowledge in important areas of practice, and ultimately become more confident and capable emergency professionals. 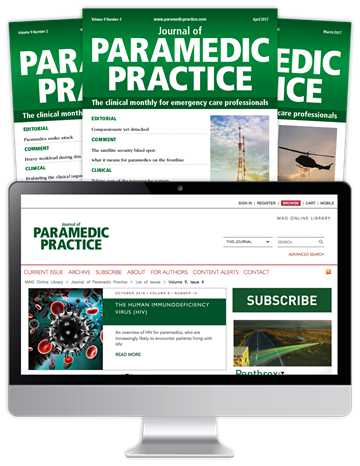 "Every issue of JPP includes a mix of clinical articles and professional guidance, to deliver practical and accessible support for paramedics who want to improve their skills in practice. 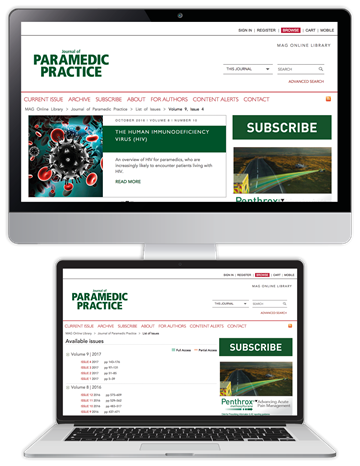 The journal is designed with readers' continuing professional development in mind, as we are committed to providing paramedics with the tools and information they need to reach their full potential."